A new marina, which is capable of berthing 50 superyachts, has been officially opened in time to host part of the Miami Yacht & Brokerage Show (February 11-15). Island Gardens Deep Harbour, which is situated on publicly owned Watson Island, will host more than 20 superyachts during the event. The new Bentti 11.11 has already been spotted at the marina and Silver Fast is also expected to attend. Now fully operational the marina has 5,000 linear feet of capacity, accommodating an average of 50 yachts stretching up to 550 feet and drafts of 18-21 feet deep. A new lounge concept restaurant, called The Deck, will also be open in time for the show. The $1 billion project also includes plans for two luxury hotels, a residential building, a shopping centre and numerous other restaurants. The residential and retail elements of the development are not expected be completed until 2017 and 2018. 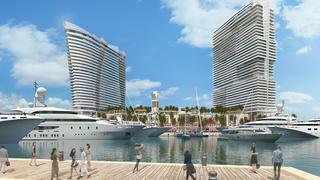 Mehmet Bayraktar, chairman and CEO, Flagstone Property Group, wants the marina to become a superyacht hub. In an effort to offset the negative environmental impact of the development, work has already begun on an artificial reef to foster marine life. 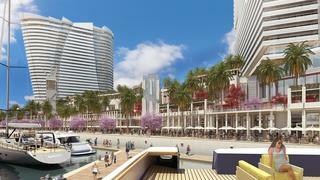 It is hoped the Brickell Mitigation Reef Site will create approximately 5.43 acres of offsite habitat. Reef migration is just one way that scientists are trying to protect coral.